OIL surged the most in more than five months as Saudi Arabia and Russia extended a cooperation pact and US-China trade tensions cooled. Unprecedented supply cuts in Canada also drove prices higher. Futures in New York advanced almost 6pc on Monday, bouncing back from the worst monthly slump in a decade. Although Russia and Saudi Arabia have yet to confirm any fresh cuts, their agreement opened the door for a deal when Opec meets this week in Vienna. Friday's high-five between Saudi Crown Prince Mohammed bin Salman and Russian President Vladimir Putin at the G20 summit in Argentina began a weekend of bullish developments for oil markets. Prices had plunged over the past two months on fears of a global oversupply, capped by a 22pc slide in November. 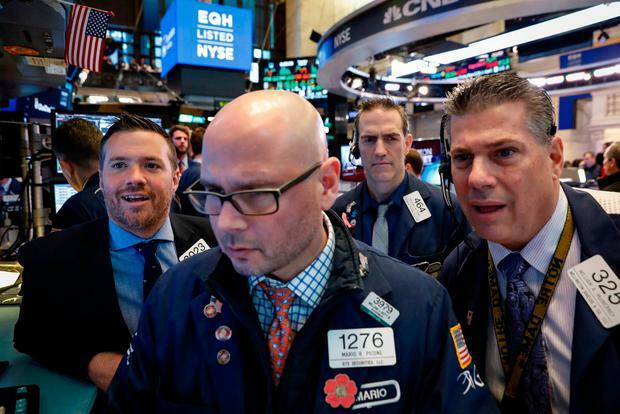 "These are the positive pronouncements that the markets have been waiting for," said Ashley Petersen, an oil analyst at Stratas Advisors LLC in New York. "Now that we're here, we should see a big price correction going through at the end of this week. The big question is, will Opec follow through?" On Sunday, Alberta Premier Rachel Notley announced the Canadian province would order local producers to curtail production by 325,000 barrels a day starting next month. "All in all, the market was in desperate need of a psychological boost and that was provided this weekend," said Ole Hansen, head of commodities strategy at Saxo Bank. "Putin's high-five with the Saudi crown prince could also have triggered another much-needed reduction in supply." Reuters Amazon plans to shut its Chinese marketplace business this summer.